Have you made Snapchat a part of your social media marketing strategy? Between 2015 and 2016, Snapchat’s monthly active users doubled from 100 million to 200 million users, showing significantly faster growth than Facebook, Instagram, and Twitter. With an overwhelming 75% of these 200 million users being active on Snapchat daily, the image-sharing social media platform has come a long way since its launch in 2011. Though it was once primarily a place for people to share an almost unreasonable number of selfies and photos of food, Snapchat is now a marketing hub for brands to reach youth. That’s not much of a surprise, considering 83% of its users are younger than 35. 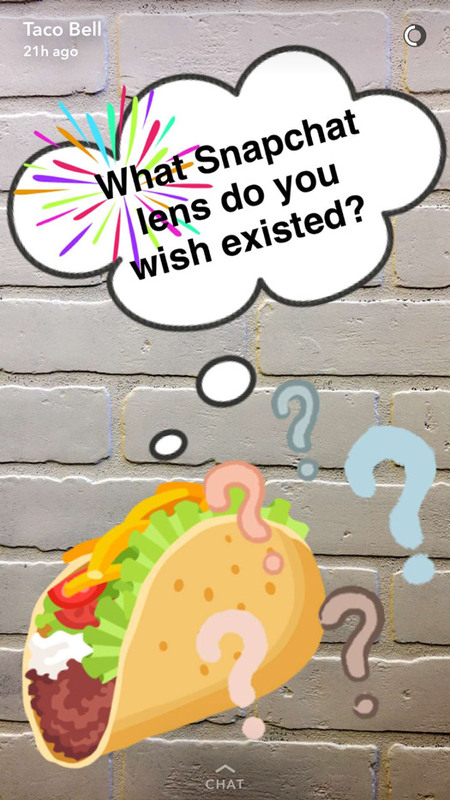 With the introduction of Snap Ads and Geofilters, in addition to “My Story”, it’s clear Snapchat is quickly becoming a social platform marketers can’t ignore, and with good reason. It’s one of the best places to grow your business - you just need to know how to do it. In this article, I’ll be going over 8 spectacular Snapchat marketing strategies to grow your business, based on a variety of business objectives. This is an obvious one. Snapchat-exclusive promotions rely on your business already having had the time to grow your Snapchat following - of course, the more followers you have, the more potential customers you’ll be able to reach. Among the content you regularly post, you can include occasional discounts or coupon codes. This strategy’s primary purpose is to convert followers into sales. However, it also serves a secondary, long-term purpose: you can advertise Snapchat discounts on your other social networks in order to grow your list of Snapchat followers, who you can then market to directly in the future. Post a photo or video to your Story - preferably of the product you’re promoting or something related to it) featuring the discount code and a link to your website or store. Encourage your audiences to screenshot the Snap and share it with their friends - the more the merrier, right? Though this has a smaller impact on your business’ bottom line, it can do a great deal - especially if you’re just starting out or if you have a unique product. They cement your business within your followers’ top-of-mind awareness. They increase the value offered by your Snapchat, as followers want to see more than a collection of carefully-taken product shots and discount codes. Ideas for day-to-day content include behind-the-scenes photos, videos showcasing your business culture, or Snaps showing followers different features or ways to use your products. Take advantage of Snapchat’s drawing tools as well as its filters to craft creative and engaging snaps. If you have a brick-and-mortar location, make sure you’re Snapping company events or exciting happenings. Posting constantly will help inform your followers of different products and make them more familiar with your business. This increases the likelihood that they turn into sales - and long-term customers - in the future. Remember, Snapchat isn’t a platform built for perfection - use it to show off your business’ personality and you’ll have you have an easier time connecting with your followers. Be creative and humorous and you’ll have a Story your followers look forward to watching. Now available to all accounts, Geofilters allow businesses or individuals to purchase and create a Snapchat filter available to all users within a certain area for a certain period of time. If your business is hosting an event then encouraging attendees/customers to use your Geofilter in the Snaps they share with their friends will spread awareness to people who have a high chance of being in your target market. Just make sure you post on social media and create signage advertising the fact that you have a Geofilter. Without being prompted, attendees may not look for your filter and you’ll have wasted money. If you’ve just opened a retail location, Geofilters can be a great way to spread the word about your new business. Keep the Geofilter up during store hours for your first few days and encourage visitors to post using the Geofilter to their Stories in exchange for a discount. This is a more organic way to grow your business through Snapchat, as it causes people to connect directly with their friends. Keep in mind, however, that Geofilters can’t link to (or even feature) your website or your social media accounts. Consider asking customers to put that information in their text captions if you think it’s necessary. Sponsored posts are a great way to spread the word through influencers with dedicated followers in your target market. Identify key Snapchat influencers related to your business with followers who are part of your target market, and reach out to them to partner up in creating a sponsored post. This will likely cost you some money (or at the very least a product sample), but it shouldn’t cost as much as an Instagram or Facebook post, as Snapchat posts last a maximum of 24 hours. Make them look as “natural” as possible - send your influencer of choice the products you’d like to promote so they can take pictures of it themselves, as well as anything you’d like them to include in the photo or caption. Ensure the influencer is in the photo, as this helps to strengthen the brand connection you’re creating through the sponsored post. Provide your influencers with their own discount code as well. This provides their followers with an additional incentive to purchase your products, and gives you a way to track the success of your influencer marketing campaign. Even if an influencer campaign doesn’t result in immediate sales, having a trustworthy figure highlight your product increases the likelihood it will be added to their followers’ “consideration sets” - the collection of brands a consumer chooses between when making a purchase decision. A Snapchat takeover is exactly what it sounds like - an influencer “takes over” your Snapchat account, posting Snaps for a set amount of time (usually a few hours or a day). This is rarely a better option than Method 1, as it relies heavily on your existing Snapchat network, which limits the new reach you’ll get from this strategy. However, you can attract new Snapchat followers by marketing the takeover in advance on your social platforms. And be sure you've asked the influencer to do so as well to connect your business with their networks. A takeover is most effective when it takes place during an event of some sort. For example, having a famous musician take over your Snapchat giving followers a behind-the-scenes look at the Grammy's provides unique value to followers and will draw people towards your account and your business. A takeover should feature many aspects of the other strategies in this article. Your product or business should be featured extensively, and it’s not a bad idea to create an exclusive discount code for the duration of the takeover which may cause customers to due to a sense of urgency. You may also decide you want to make takeovers a primary strategy - having different people “run” your account (say, every week) keeps your Snapchat Story fresh and exciting to followers and helps to attract customers from many different social circles. Though this approach can be difficult, hosting a Q&A on Snapchat is a good way to take an established Snapchat following and convert it into sales. Set a date and time to host the Q&A and encourage followers to send in questions on Snapchat as well as on your other social platforms. Snapchat videos are great for this! Allowing people to submit questions in advance ensures you won’t have a shortage of questions when your Q&A “airs,” and that anybody who may not have had the opportunity to participate is able to ask a question. If you receive too many questions, select the best (or most appropriate) of these, keeping in mind not all of these questions should be related to your business or product. Keep a couple of less serious questions on hand as an opportunity to show off your personality! Read out the question and shout out its author when you’re answering to give them a feeling of recognition and a personal connection to your brand. Because Snapchat videos last a maximum of 10 seconds, you’ll probably want to separate the question and the answer into two Snaps. Keep it interesting! Feel free to change locations as you answer (places around your office or city) or have different people within your business answer to add variety to your answers. I’d also make it a point to send a discount code of some sort to everyone who asked a question. Though this is often just a bonus, promoting it leading up to the Q&A if you feel like you need to increase engagement. Snapchat contests are a great way to incentivize people within your target market to follow and engage with your Snapchat. 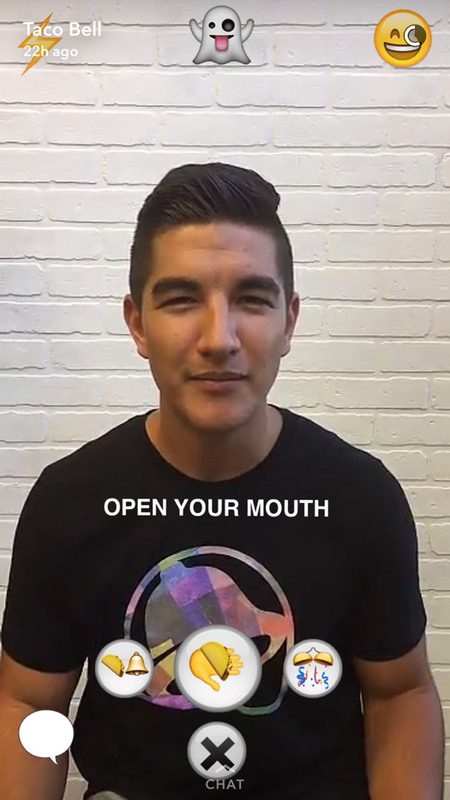 Much like a Q&A, promote Snapchat contests you’re running on your other social platforms. The easiest way to run a Snapchat contest is to ask entrants to send you a Snap fulfilling some sort of conditions - maybe answering a question you ask, or taking a specific type of photo or video. After the contest deadline is over, go through these Snaps - screenshot the ones you might want to use for content in the future - and select your winners either randomly or by picking your favorites. Send winners product samples or discount codes. Choose a small number of winners to whom you'll give away products and then provide other entrants with discount codes so they still feel like they’ve been compensated for entering the contest. Remember the purpose of building this following is to convert them into sales in the future. You want to keep entrants within your target market as much as possible. Because people need to follow you on Snapchat to send in an entry and they’re incentivized to enter because you’ll be offering a prize, contests are a great way to gain followers on Snapchat. This is a great and relatively simple way to turn social media followers into potential customers. The gist of the approach is this: use a Snapchat photo or video to feature a piece of content like a longer video, an article, or some sort of email gated content you’re using to draw in leads or subscribers. 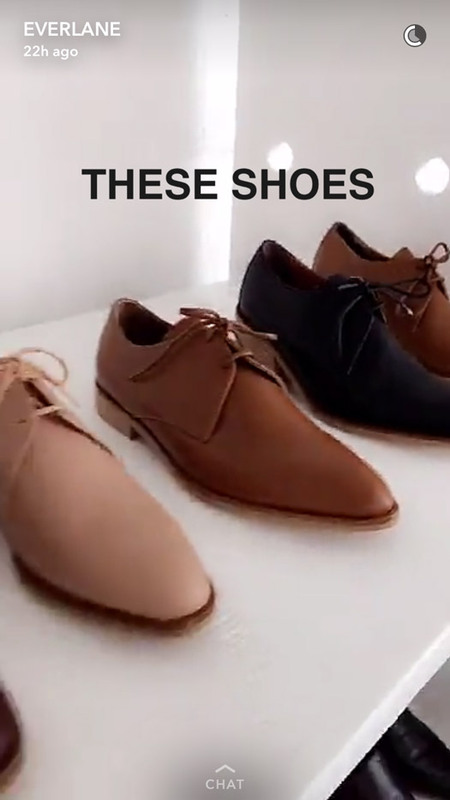 Caption this Snap with “visit [your website/landing page link] to learn more!” Make sure the preview you feature in your Snap is exciting without giving too much away. Your objective here is to draw in your Snap followers with the end goal of turning them into leads. By teasing content or new products on Snapchat, you’ll find the platform can be a great lead generation tool. Okay, so we’ve gone over how to grow your business with Snapchat. And that’s great and all. But we’re missing a key puzzle piece: how do you draw in people to amass your own Snapchat army? Let’s close off this article with some quick tips! Be consistent with your handles: Having the same handle on all social platforms is more of a general social media tip, but it’s especially important for Snapchat because the app doesn’t have a fully-functioning search. By keeping your handle consistent, there’s a better chance your fans will have an easy time finding and following you. Cross-promote your Snapchat on other social platforms: Make sure you remind followers on other platforms (Twitter, Instagram, Facebook) that your business has a Snapchat account. Because social is constantly updating, it’s important to make sure your followers are aware of everywhere you are. 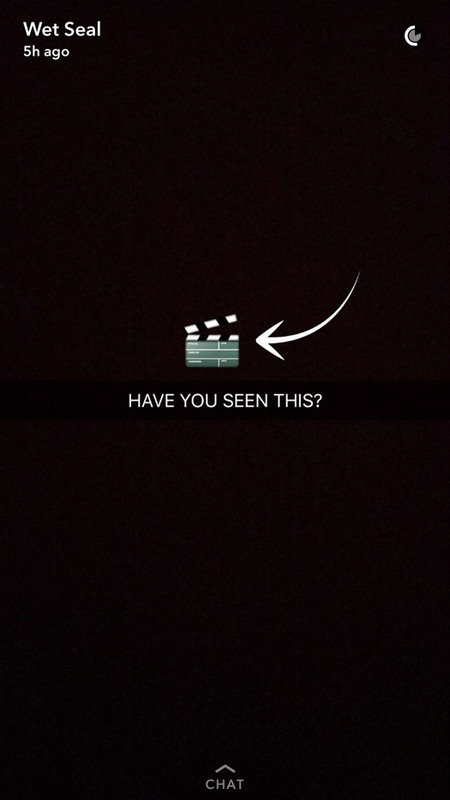 Tip: Point people to your personal Snapchat link at http://www.snapchat.com/add/yourusername! Use your Snapcode: Snapcodes are the easiest way for people to add your Snapchat; users can scan the code and you’ll be added instantly. If you’re really looking to grow your Snapchat following, you want an image of your Snapcode in as many places as possible. Post it on all your social platforms once in a while, or - even better - make it your profile picture on these platforms. Influencers: Whenever you’re running a Snap campaign with an influencer, make sure they’re Tweeting (or Facebooking, or Instagramming) your Snapchat to their followers. Even if you choose not to run a Snapchat campaign, consider providing key influencers with product samples in exchange for something like a quick sponsored Tweet shout out for your business, accompanied by a picture of your Snapcode. There you go! 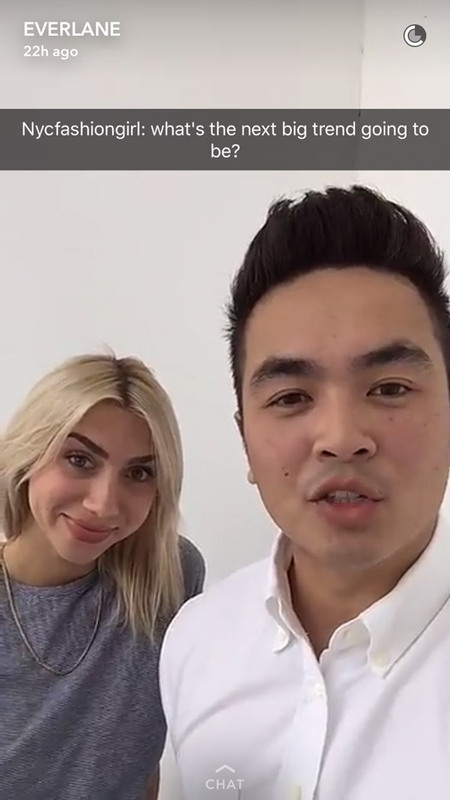 A few (okay, more than a few) tips for growing your business with Snapchat. Let me know in the comments below what you thought of the article - any other approaches you think I missed? 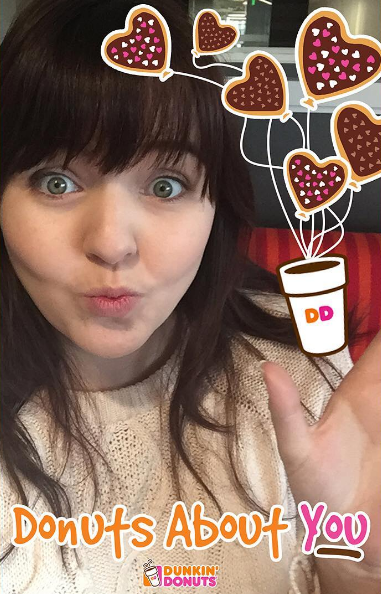 How have you used Snapchat in your marketing efforts so far?